Melissa Bonin is a dear friend of mine, and was recently honored as an outstanding businesswoman in our community by ABiz (Acadiana Business, based in south Louisiana). I was delighted to be invited to share this moment with her, and sat with several other friends and family at the luncheon that honored her and several other standard-setting women. Even though we recognized the many talents of our friend (“well, of COURSE she’s being honored!” was our communal reaction), Melissa was totally surprised by the honor. In her acceptance speech, she described herself as an “accidental businesswoman” because you see, Melissa is an artist. She is also a very successful one, and over the years I’ve been amazed and inspired as I’ve watched her balance her response to the callings of her soul with the mundane tasks and trials of everyday life. A single mother, she’s dealt with the loss of both of her parents, illnesses in her family, and the demands of allowing Spirit to speak through her eyes and hands while trusting that she had everything she needed to live, love and thrive. Her work represents her deep relationship with the healing magic of the Louisiana landscape. She captures living water in rivers of light; looking at her work, the viewer experiences mystery and magic – and is simultaneously graced with understanding. “To be an artist means to give voice or vision to the murmurings of the soul. Now ladies and gentlemen, you try to put that into a business plan,” she told the crowd gathered that day. I listened to her acceptance speech that day with tears in my eyes. In her usual uncanny way, she had summarized the challenges that so many of us face, and charted a path for meeting those challenges. As I listened, I simply said “well, of course. Put the call of the Soul first, and things will fall into place.” I’ve sometimes thought this to be impossible, but Melissa exemplifies this. She puts the most precious things first – her son, her art, the life of Spirit and Soul. It’s not an either/or, they all fall into place, with everything else second. Like so many other women, she’s found that it can be a bit of a high-wire act with bated breath and occasional heart-wrenching slips….but things come together and balance is achieved. I’ve carried her words with me since that day, and have found inspiration for clarity, especially when I am overwhelmed. Asking myself “ Does this bring joy? Does this affirm life? Does this inspire? Does this draw me closer to Spirit?” If the answer is yes, then I can move forward, even if I am fearful. 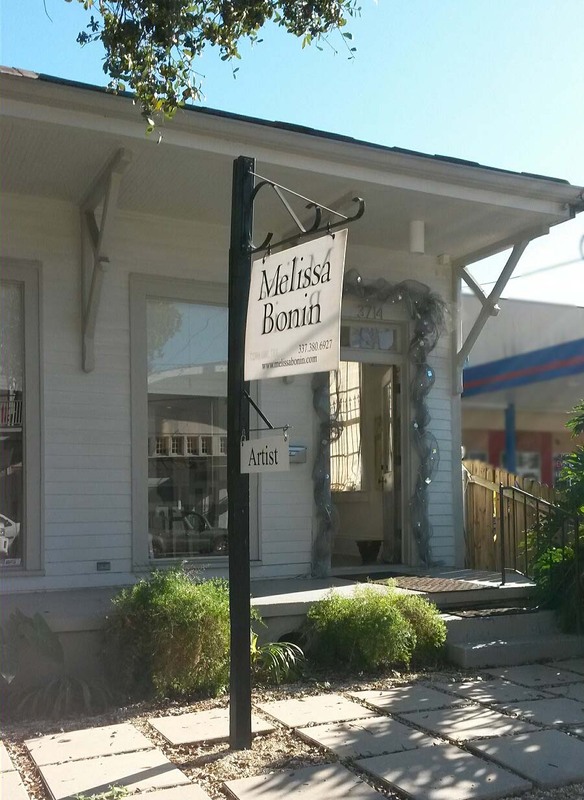 Enjoy the life-affirming and inspirational work of my friend, gifted artist Melissa Bonin, at www.melissabonin.com and in person at her gallery at 3714 Magazine Street, New Orleans, LA. Thoughts at the beginning of a Shawl Ministry at the Episcopal Church of the Epiphany in New Iberia, La. Shawls are practical, beautiful, nurturing. Even though the idea of a prayer shawl ministry didn’t really burst into modern consciousness until 1998, shawls have been present in spiritual practice for a long time. I think of the Jewish Talit, or fringed prayer shawl, worn at various times by Orthodox, Conservative and Reform Jews. Our priests, deacons and bishops wear stoles when leading a service. Mantillas may still be worn by Spanish Roman Catholic women for worship (and were extremely common in French/Spanish south Louisiana in pre-Vatican II days). Pentecostal Churches may have “prayer cloths” – cloths that have been prayed over and in some cases, anointed. All of these practices may serve to set the wearer apart, or to help the wearer indicate, even if only to oneself, that this time is now for prayer. I can appreciate the concept of a prayer cloth. Here’s something tangible that has been prayed over, given to someone to hold, to touch, a tactile reminder that someone else has been praying for them. It’s a powerful thing to know that someone is praying for you, and having something in hand that underscores that can serve as a strong reminder: You are loved. You are remembered and cared for by this community. You are a child of God, our sister or brother in Christ, and this is a symbol of our ongoing prayer. A shawl is this symbol, that wraps one in a comforting embrace. So where did our 21st century concept of a prayer shawl ministry come from? Do an online search for “prayer shawl ministry” and you will learn of two women who had attended and graduated from a Leadership Institude in Hartford, Connecticut in 1998. They’d been in a program of applied Feminist Spirituality with Professor Miriam Therese Winter. Professor Winter is a Roman Catholic nun (Medical Mission Sister) and an author and songwriter whose works are well worth exploring. These women, Janet Severi Bristow and Victoria Galo, combined compassion, prayer, and a love of fiber arts into a prayer ministry and spiritual practice. Their journey and ministry is described on the website, www.shawlministry.com. What makes a prayer shawl a prayer shawl? Intention. Compassion. Blessings, and of course, prayer. The shawlmaker only needs basic crochet or knitting skills to do the work. 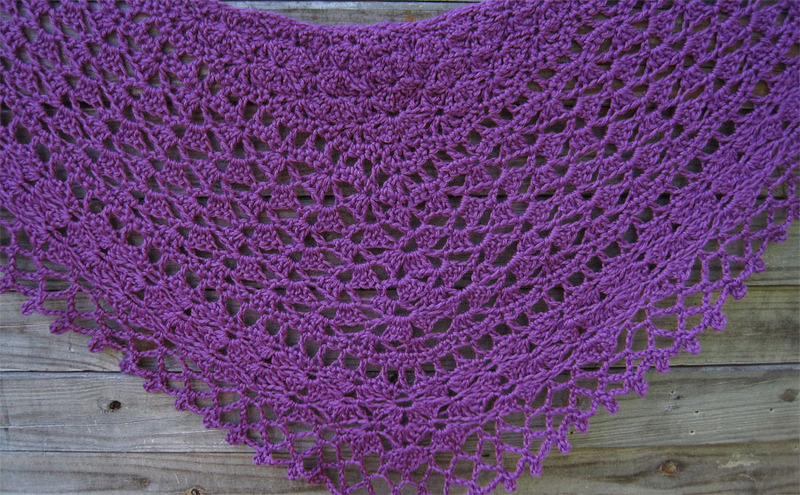 A shawl is begun with intention, with prayer and blessings for the recipient, and the shawlmaker may or may not know the recipient. Shawls may be made with the intention that they will find the person who needs it most. In other words, the Holy Spirit does the heavy lifting. When the shawl is completed, the group (and anyone else who wants to join their prayers) may say a prayer for the recipient before sending it on its way. Prayer shawls may be made for anyone – woman, man, girl or boy and they may be adapted according to the comfort of the recipient – a “prayer square” with a Cross (or Magen David) motif, or a small blanket may be more appropriate for some than a shawl. They may be made for someone going through medical treatment, for someone experiencing a loss, bereavement; a life-changing event (which can be joyous as well! ), ordination…whatever! A small cross or charm may be attached to the shawl, this is entirely optional. Most ministries include a prayer with the shawl – and care instructions help, too! No matter where you are with your craft, making a prayer shawl is a beautiful thing. Your stitches don’t have to be perfect, just made with compassion and intention. Remember that when you make a shawl (or blanket), you are, in a sense, joining the recipient on their journey one stitch at a time, one step at a time, one prayer at a time.